free skin analysis and also their 3-step sample kit? Well, I've gotten mine and here's my testimonial. I do care a lot about my skin and do want to achieve beautiful, clear skin. However, after a long day at work, I am not too motivated to follow through a complicated skincare regime. Thus, I’m grateful for Clinique in making it all so hassle-free with just 3 steps. 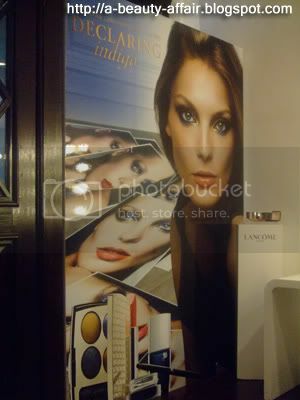 I like how the Clinique’s skin care system has a customized range for every skin type. The cleanser is refreshing, an excellent product to start your day with. However, I find the scent a tad bit too medicinal and strong at times. But there's no doubt about it's cleansing capabilities. I’m also impressed to find that there are a total of 8 types of toners. The Clarifying Lotion 3 did not work for me but I was glad to find an alternative; the Clarifying Moisturize Lotion 3 version, which was much gentler. CL2 stung my skin real bad and I've been reading forums, some say it's normal to sting a little. However, for me, it was so painful and too much. I think I'll stick to the CML version. The toner would be my favorite product of the lot! The Dramatically Different Moisturizer did not disappoint as well. It was lightweight and quickly absorbed upon application. Once again, I'm not a fan of the scent. Really smelled medicinal to me. Anyway, there were no negative results from using the 3-step system. No breakouts or purging! Phew! I find that my skin is clearer and even makeup stays on longer too. I am able to stay fresh-faced the whole day. Just to share a review from my favourite site. I've gotten this long ago for a product review. 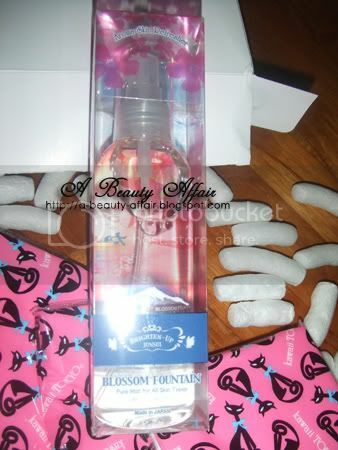 It can be found at Guardian Stores islandwide and is retailing for around SGD60-70+ I believe. Quite a pricey drugstore product I must say. Hence, it would be good to read more on it if you're contemplating the buy. Though it seems poorly rated in the review below, I have to add on that I've read pretty good reviews about it elsewhere though. Therefore, a search on google would be good if you wish to continue your research on the Tri-Aktiline Instant Deep Wrinkle Filler. We say Its three key ingredients are gatuline, extracted from the South American Acmella oleracea plant ; kombuchka, derived from black tea; and argirline, a peptide. Gatuline relaxes facial muscles, and hence reduces the appearance of wrinkles, says the manufacturer; yet there is no publicly available data to support this. Kombuchka may have antioxidant properties, which could help to prevent lines, says Dr Tamara Griffiths, a dermatologist for the British Skin Foundation, but its effect on skin has not been fully investigated. 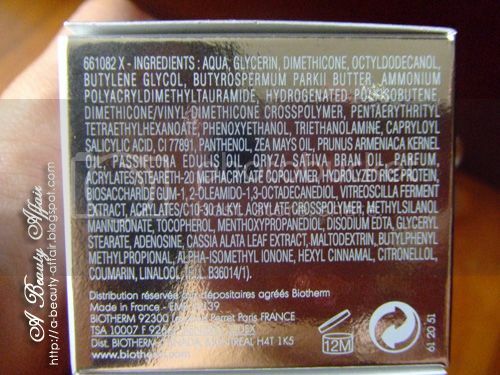 Good Skin Labs, the cream’s manufacturer, however, claims that it improved skin complexion in experiments. Argirline, Dr Griffiths suggests, may also relax facial muscles, but has done so only in the manufactuer’s test-tube studies. The cream reduced wrinkle length and depth in in-house studies, but the scientists didn’t use a control cream, so it’s hard to know whether this was caused by the action of the ingredients or simply by the skin being moisturised. Feel-good factor: Easily absorbed; fragrance-free. BTW, has everyone collected their SK II 30ml sample of the facial treatment essence yet? I've read that most counters ran out of it during the first day of collection. I find the scent of the product pretty calming. I use it like how I would use a toner and today's just the second night only. I wonder if I'll see any significant results soon? 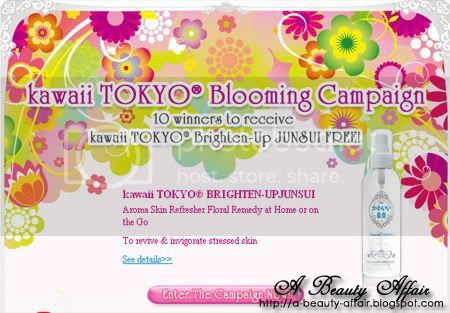 I've been joining numerous Kawaii Tokyo campaigns and I've finally won something from them! Honestly, I was eyeing their first product, the all-in-one Brighten up gel. However, I've not been lucky until today. It was indeed a pleasant surprise. I've gotten a parcel and had no clue for what reason till I ripped it apart! LOL! This product sounds promising from their webpage. Facial mists are great for refreshing your skin on a hot, humid afternoon or even when you're stuck indoors in an air-conditioned environment. This will help you hydrate your skin. Ok, this is pretty much a non-beauty related post. However, I just wanna share my iphone's 'transformation'. I did a gmask yesterday. And also got a matching wallpaper for it. I'm lovin' my new phone!! Another freebie up for grabs! 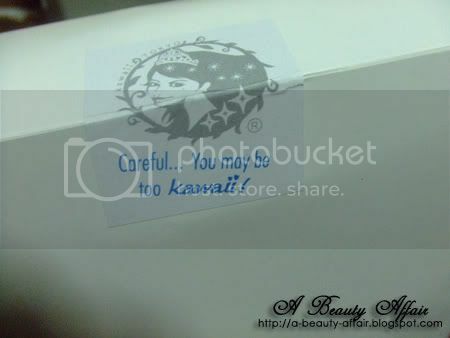 Here's your change to try out the much raved star product of SKII. Go to THIS PAGE and fill up the form. Then drop by any selected SK II counters to collect it. Remember the Moisture Liposome I've blogged about? You can find my previous entries here and here. Well, now you can try it out for yourself. equivalent to 3 days' supply. But I think you might find that too much so try to use 1 sachet for 2 applications. 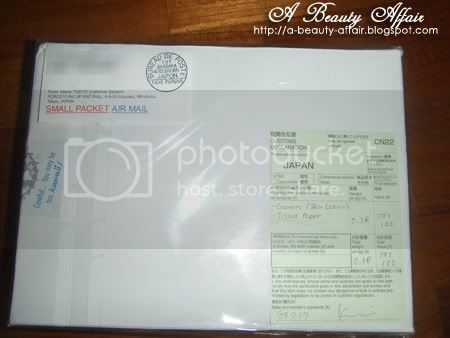 My first Etude House purchase! I LOVE Etude House at Plaza Singapura. It's this cute little Korean shop selling beauty products. 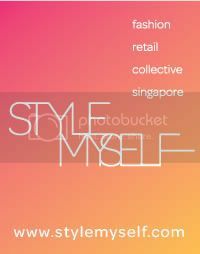 hard to miss while shopping around Plaza Singapura Lvl 1. Previously, they were giving out fluffy, bimbo pens as freebies. 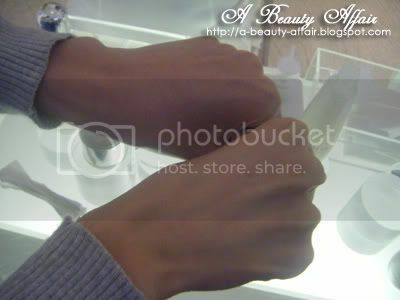 This time round, they were giving out cleanser samples. 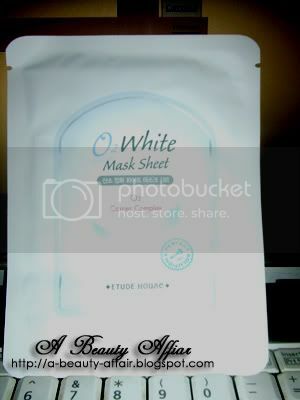 And we also got a free Oxy sheet mask as a gift with purchase! Nail polish at S$2.50 each. Haha...the tips are not perfect but it's not that obvious from afar. 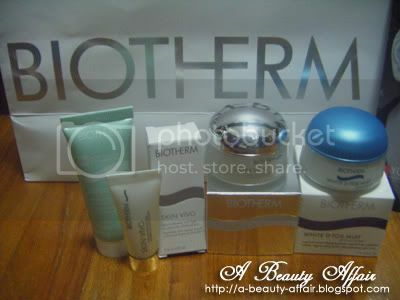 Skin Vivo by Biotherm : Look 10 years younger! Biotherm will be launching Skin Vivo come September 2009; a breakthrough in skin care that promises to revive your skin's natural anti-ageing process and visibly rejuvenate your skin by 10 years*! Yes, 10 amazing years! This was measured by a scan in the density of the skin support tissue of 32 women in a focus group. Visible improvement of up to 10 years change in skin density was the end result! Impressive, isn't it? 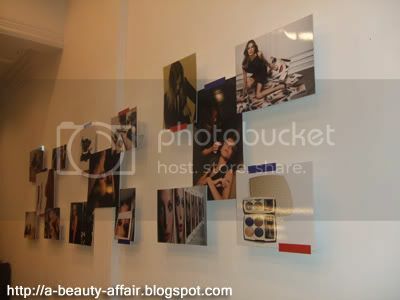 Many thanks to Biotherm & Cozycot for this invitation to their press launch. We were treated to a visual feast of beautiful paintings of an artist's impression of rebirth (theme of Biotherm's skin vivo). The breath-taking paintings were so realistic and emitted a raw beautiful energy; a vitality of new life. 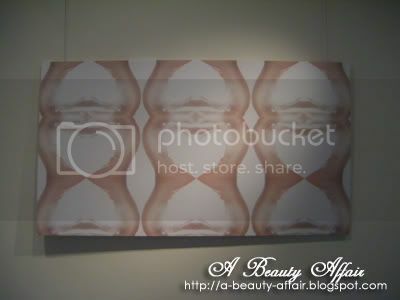 Do you see the jar of Skin Vivo Moisturizer in the hand of the woman in the painting? 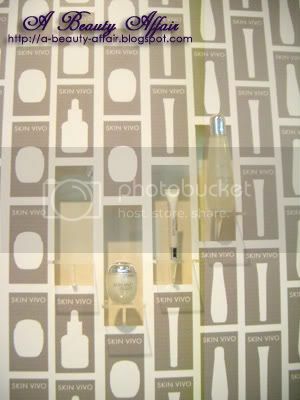 Upstairs, we had a short presentation on the Skin Vivo range. Unfortunately, HM & I were late so we missed quite a fair bit of it. Anyway, just a brief intro about the Skin Vivo range. They have a serum, moisturizer, toner and eye cream. The whole set would cost you approximately SGD $419. The Skin Vivo serum would be their star product. It contains a 'patented combination of Pure Thermal Plankton in recorded doses and reverserol SV'. The serum is said to protect DNA and repair the micro-alterations that accelerate the aging process. WOW! 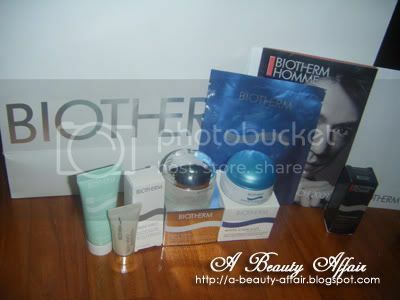 Doesn't this make you want to rush down to the Biotherm counter and reserve your set? And guess what? The serum does brighten up your skin as well. We could see visible results the first time trying it out. HM's right hand was so much brighter and lighter in skin tone as compared to her left hand. We were both very impressed by such instantaneous results! And I must say that I enjoyed the finger food very much. The drinks were creatively presented in test tubes. How cute! 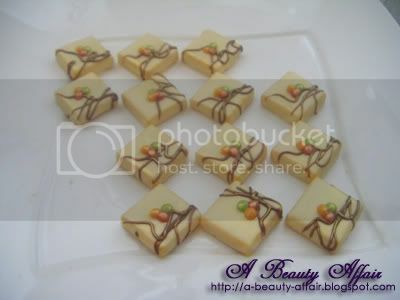 My favorite dish was the meat pie and this delicious mango chocolate. 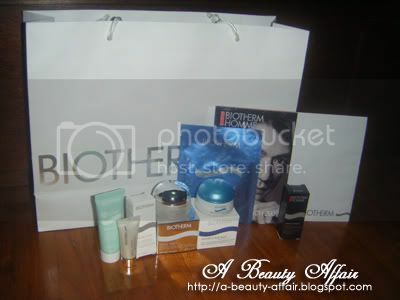 Last but not least, we were each given a wonderful goodie bag generously filled with lovely treats from Biotherm. I'm so glad that we got the Skin vivo serum and moisturizer to try out. I'm seeing lots of potential in this range and can't wait to try it out! Let's face it. Everyone loves freebies. 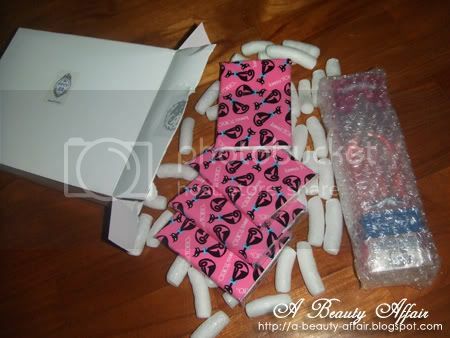 That is why so many brands especially in the beauty industry use freebies also known as Gifts With Purchase (GWP) to lure potential customers. How often have you bought stuff which you don't really need just to top up and hit the required amount that is eligible for a GWP? Just think about it. Freebies entice and excite. Just the thrill of receiving a popular, highly-raved beauty product in full retail size FREE OF CHARGE gets me all tingly inside. I love being able to try out new beauty products without having to foot a single cent. So yes, I admit that I am a cheapo and loving it. I have a circle of friends whom we affectionately name our group as the 'Cheapo Union'. We update each other on the latest warehouse sales, freebie news, contests and the likes. 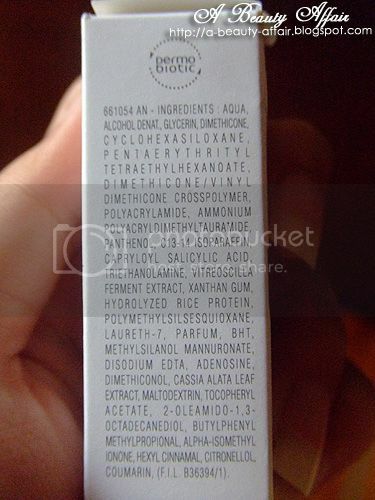 So you bought your L'oreal Derma Genesis Day Cream at $35.90? Well, I got it at $15 during the L'oreal warehouse sale. Will I pay the full retail price for it? No. I would rather wait for sale. 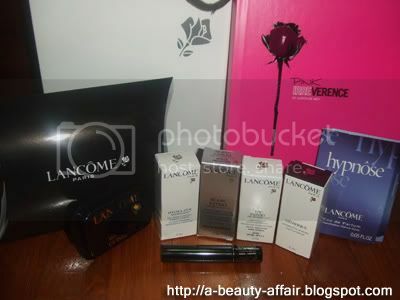 We scout the forums to sniff out the latest sales, register our boyfriend's details just to get another set of samples and attend events like the Bio-essence 24K Bio-gold 100 people challenge, where we allowed the world to see us bare-faced for 3 hours just to get the entire range of full-size Bio-gold products free. There's nothing wrong with being 'cheapo' but be one with integrity & dignity. Everything which we have gotten free or won so far are through our own sheer effort. Be it writing a review or raving about a certain product. Please do not steal someone else's work and claim it's your own in bid of winning something out of it. Aaron De Mey declares Indigo as the NEW black. Be bold, dare to be different. 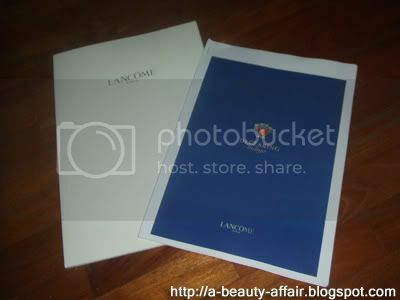 Thank you Lancome & Cozycot for this exclusive opportunity to participate in the preview of Lancome's Declaring Indigo by Aaron De Mey. 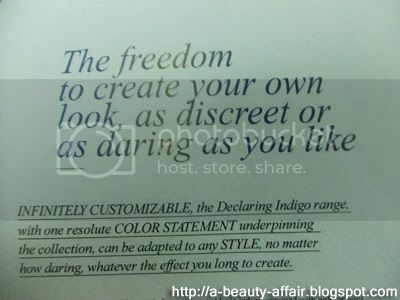 Declaring Indigo is all about being daring, different, free-spirited, experimental and being true to yourself. 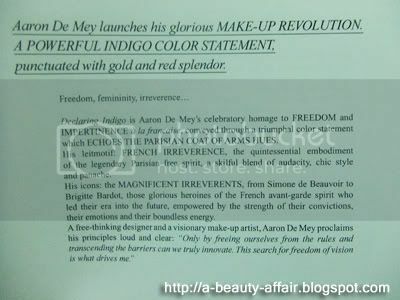 Aaron De Mey is only 35 but he is the talented Artistic Director of Lancome and one of the best makeup artistes ever. Declaring Indigo by Aaron De Mey was inspired by the vibrancy and passion of the sophisticated and beautiful French lady icons such as Bridgette Bardot. The collection features stunningly gorgeous colors such as the bold indigo blue, fiery red and luxurious gold. Indigo is the NEW black. 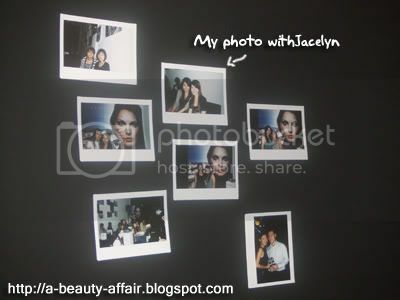 Artistically-shot photos of Aaron De Mey in action, his Declaring Indigo collection and the gorgeous model, Daria Werbowy adorn the wall of the Stamford House unit we were in. 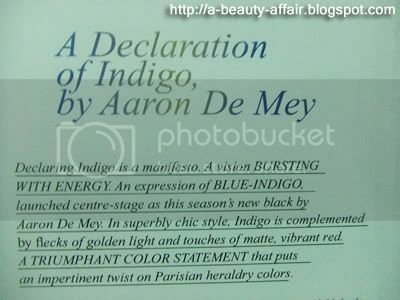 We were treated to a few videos introducing Aaron De Mey and the Declaring Indigo collection before we got to witness a live makeover demo using the gorgeous colors of the Declaring Indigo collection. Indigo and gold really compliment each other. 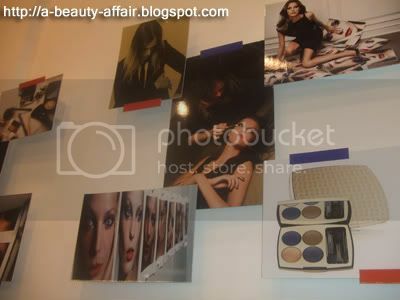 We learnt quite a number of makeup tips, and the especially useful ones involving eyeliner for single-eye lid asian eyes. Tip #1: Aaron believes in less is more. Also there is no right and wrong in applying makeup. It all depends on what look you desire but it is important to get the base right. This is an extract from his interview with VOGUE Aust which I found very useful. 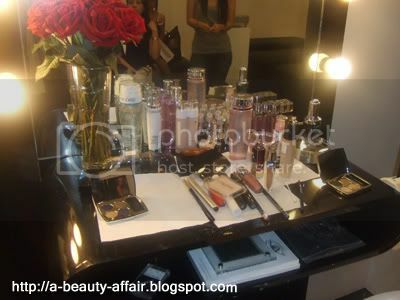 "Use small amounts of product in the most discreet way to achieve great looking skin. No one likes to see or feel a lot of base on the skin. As soon as someone's face is coated, they feel masked. Whatever you place on beautifully prepped skin will look great. If you don't start off with a great base, nothing is going to look right. Always apply a very good moisturiser – it's the answer to so many problems. Use small amounts of concealer with a brush to perfect the skin and always curl the lashes before you apply mascara. 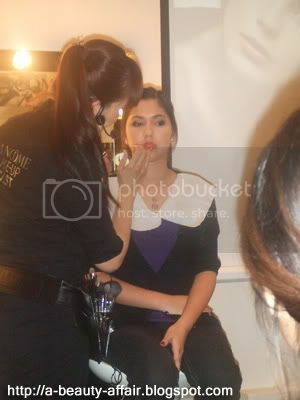 Then apply a very good brow gel to finish the face." Tip #2: A lighter shade of concealer can also be used to highlight the T-zone area. Tip #3: Sweep blusher downwards to shape face for a sharper look. Actually, there's many more but I can't recall now cause I am so tired out. If I do recall, I will edit this post accordingly. 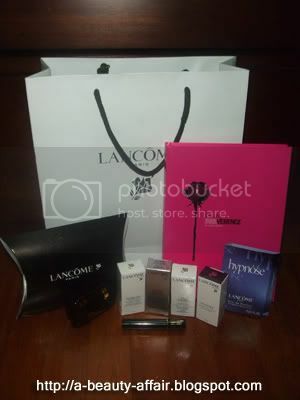 Anyway, I left the venue not only armed with more makeup tips but also a wonderful goodie bag featuring an array of Lancome samples and a notebook as underground chic as Aaron De Mey himself.